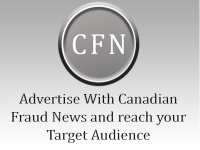 July 24, 2018 (Courtesy of CTVnews.ca) – Five men accused in an alleged multimillion-dollar fraud scheme have had all charges against them stayed because of a shortage of judges in Ontario’s Superior Court of Justice. Earlier this year, a judge attempting to set a trial date for the five accused said they could not come before the courts until at least January 2019. Since that date would violate the Supreme Court’s Jordan ruling, which sets firm time limits between when charges are laid and when a matter comes to trial, the five men filed an application seeking to have their charges stayed. ustice Bonnie Croll ruled in favour of that application this month, citing a lack of resources in the Superior Court as the reason for the delay. Ontario currently has 14 vacancies in the Superior Court, according to July figures from the Office of the Commissioner for Federal Judicial Affairs. The Canadian Bar Association recently wrote an open letter to the federal government, indicating such shortages are not confined to Ontario and calling on Ottawa to ramp up efforts to fill the more than 50 vacancies in Superior Courts across the country. In an email statement on Friday, the federal Department of Justice said its latest budget provides for six new Superior Court positions in Ontario. “Our Government has demonstrated its clear commitment to a well-functioning justice system, through targeted law reforms, as well as significant investments in the judicial complement,” said David Taylor, the department’s director of communications. In her decision staying charges against the five men, Croll outlined how illnesses among the depleted ranks of the Superior Court benches left judges without time to oversee the trial until January 2019, nearly five years after the men were arrested. The Supreme Court’s Jordan ruling, handed down in July 2016, states that those charged with a criminal offence have the right to have their cases tried within a reasonable time from the date charges are laid — 18 months in provincial court and 30 months in Superior Court. “To meet the Jordan timeline, it is axiomatic that courts must be properly resourced with the appropriate complement of judges,” Croll wrote in her July 12 decision. According to the senior counsel to the court’s chief justice, the problem is expected to get worse. Norine Nathanson said the federal government has promised six new judges to the Ontario Superior Court, which oversees all civil cases and serious criminal matters, but none of those appointments have yet been made. Nathanson said the number of judicial vacancies on the Superior Court could reach as high as 28 by the end of September, representing what she described as nearly a tenth of its entire compliment of judges. She said court officials are concerned that applications like the one put forward in the most recent case may become more prevalent. The bar association’s letter, while praising Ottawa for earmarking funds for new appointments, said more needs to be done and specifically cited the Jordan ruling as the source of some of the additional pressure the country’s judges are working under. “We continue to believe that maintaining full judicial complements is critically important to ensuring public access to, and confidence in, our justice system,” the association wrote in a Jan. 11 letter addressed to Justice Minister Jody Wilson-Raybould. The now stayed fraud case involved Vincent Villanti, Revendra Chaudhary, Andrew Lloyd, Shane Smith and David Prentice, who were all charged with fraud over $5,000 and conspiracy to commit a crime in connection with an alleged investment and tax avoidance scheme. All maintained their innocence. Prosecutors alleged the men ran an investment program through two companies, raising more than $13 million from approximately 5,000 people. Investors were allegedly told their money would be used as start-up capital for small businesses, and that they could claim any resulting business losses on their personal income taxes, the Crown said. The men allegedly used most or all of the investment money to pay their own salaries, expenses and company expenses, leading them to claim deductions on their taxes that were ultimately disallowed by the Canada Revenue Agency, the Crown said. A sixth man charged in connection with the alleged scheme pleaded guilty last year.